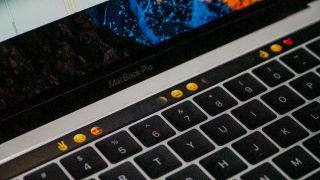 Apple has begun shipping out its new MacBook Pro models with Touch Bar, and the fortunate folks who already have one – or those still mulling a purchase – will be interested to learn that there is now an official list of apps which support the OLED strip on the Mac App Store. Apple has opened a new section in the store highlighting those apps which are ‘Enhanced for Touch Bar’ to enable users to easily see how much support there is for the major new addition to the MacBook Pro which replaces the top row of function keys. At the moment, it’s a fairly short list of just 15 pieces of software, but of course that number should expand pretty swiftly, as Apple will doubtless be keen to get as many third-party apps on board as possible, to make its new innovation look worthwhile. Currently compatible apps include Apple’s own Final Cut Pro video editor, of course, along with the likes of 1Password, djay Pro, Mail Designer Pro 3, Motion, Compressor, OmniGraffle 7, Focus Productivity Timer and more. So if you’re keen to see exactly what the Touch Bar can do on your new MacBook Pro, at least you can view at a glance all the different apps which allow you to test its capabilities out. In case you (somehow) missed Apple’s big launch event for the MacBook Pro last month where the company spent the majority of the time showing off the Touch Bar (including some live mixing with djay Pro), it’s simply an OLED strip which sits at the top of the keyboard and dynamically changes to offer context-sensitive keys and functions pertaining to the app running. It supports 10-point multitouch and gestures, and in our hands-on, we found that it works seamlessly, although it’s debatable how useful it might be right now, particularly given the limited app support. As mentioned, though, this is something Apple will be pushing hard to change, no doubt. After all, every bit of justification counts when it comes to the towering prices of the new MacBook Pro with Touch Bar models. Incidentally, if you’re finding the price really off-putting, at least we have news that next year we can expect a refresh which lessens the damage on the old wallet. Want to know the best MacBook deals currently available?